Home / Blog / We have fantastic news! ……..
We have fantastic news! 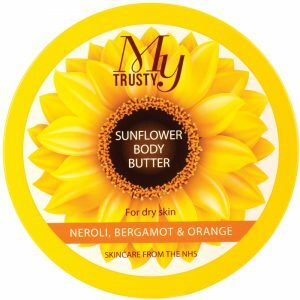 ……..
Our My Trusty Sunflower Body Butter (200ml) achieved ‘Highly Commended – Best New Body Care Product’ at the prestigious annual Beauty Awards 2017 with OK! magazine. 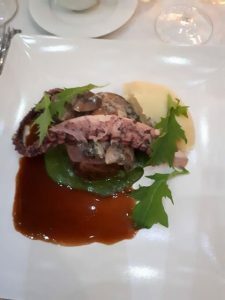 We have to admit the main course was a little scary….. OCTOPUS! Entertained by the extremely talented Holly Tandy, finalist singer of the X- Factor, the 700 guests were buzzing with excitement as they learned of their awards. 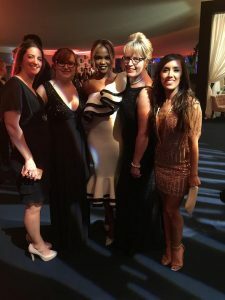 We certainly had a bit of fun spotting the celebrities and got to have our picture with Otti and Jeanette from Strictly Come Dancing. Receiving a staggering 500K votes over all the categories, which was the highest they had ever had, the 2017 awards were deemed a huge success. The organizers told guests “being shortlisted for these much sought after awards, is a really big deal”, so we are very proud of our NHS brand. My Trusty was up against some tough competition such as, Burts Bees and Soap & Glory, so we did extremely well, and just goes to show that our customers really love this our products, our brand and all that it stand for. Thank you so much for voting for us and supporting the NHS!